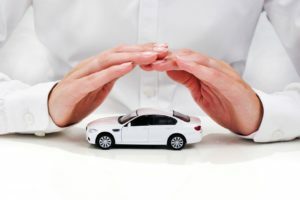 Assets of insurance companies managed by the Motor (Transport) Insurance Bureau of Ukraine (MTIBU) grew by 32.4% in 2018, to UAH 2.050 billion, according to a report of the commission that audited the operations of the bureau for 2018. Of this amount, bank deposits in national currency amounted to UAH 1.661 billion, which is 65.5% more than a year earlier, in foreign currency – 323.6 million (a rise of 12.5%). The share of deposits in total assets was 66.3%, while a year earlier it was 64.8%. According to the report, the funds of the victims protection fund and the MTIBU insurance guarantee fund in 2018 were placed in the State Export-Import Bank of Ukraine (Ukreximbank, 6.6% of the total amount of funds placed), Oschadbank (23.9%), Ukrgasbank (28%) , UkrSibbank (0.2%), Credit Agricole Bank (5%), Kredobank (4.1%), OTP Bank (1.8%), Pravex Bank (5%), TAScombank (4.4%), and FUIB (2%). In addition, the MTIBU manages the assets of insurers invested in local government bonds in national currency in the amount of UAH 203 million, which is 2.5 times more than in 2017, and 247.4 million in foreign currency (2.7 times more). MTIBU members are 51 insurance companies. All solvent banks have enough assets to meet the requirements to generate the capital conservation buffer of 0.625% until 1 January 2020, reads a posting on the website of the National Bank of Ukraine (NBU). “The same instruments are used for raising both the buffer and common equity. This means that, considering the requirements to raising the buffer, the common equity adequacy ratio (N3) as of the beginning of 2020 should account for at least 7.625%. According to the data as of March 1, 2019 all solvent banks have adequate capital to ensure compliance with the requirements to raising the capital conservation buffer of 0.625%,” reads the statement. Onwards, the capital buffer will gradually increase each year until it reaches 2.5% as of January 1, 2023. According to the NBU, such buffer will ensure that banks have raised a capital surplus during a non-crisis period above the minimum required to absorb any possible losses, which may occur in times of overall economic downturn, without breaching the capital adequacy ratio in the future. This instrument will contribute to the targets of the NBU strategy for financial stability by enhancing banks’ loss absorbing capacity. As reported, introduction of capital buffers was approved by NBU Board Resolution No. 312 on the Approval of Amendments to the Instruction on the Procedure for Regulation of Bank Activities in Ukraine dated May 12, 2015. AXA Insurance (Kyiv) in 2018 increased its assets by 8%, to UAH 1.933 billion, according to the materials to the agenda of a general meeting of its shareholders scheduled for April 11. The retained earnings at the end of the year totaled UAH 108.4 million, which is 15.5% less than a year ago. Net profit of the insurer came to UAH 69.9 million, while in 2017 the company saw UAH 127.6 million in net loss. 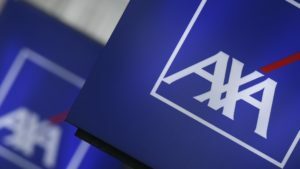 Net worth of AXA Insurance in 2018 slightly grew compared with the previous year, to UAH 489.075 million. 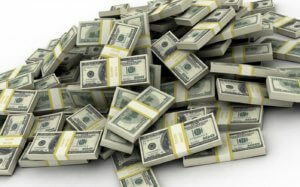 Cash and cash equivalents grew by 28.5%, to UAH 677.111 million. Noncurrent liabilities rose by 11%, to UAH 1.357 billion, and current liabilities – by 10.9%, to UAH 86.272 million. Total receivables remained almost at the level of 2017, being UAH 326.607 million. The charter capital did not change, being UAH 261.975 million. AXA Insurance has been operating on the Ukrainian market since 2007. In 2018, the company collected UAH 1.9 billion in insurance premiums, which is 13% more than in 2017. Fairfax Financial Holdings Limited Group LTD (FFHL Group LTD, Canada) in 2018 acquired 99.98% of the charter capital of AXA Insurance (Kyiv). The Concorde Capital investment group has won the second auction to sell assets used as collateral for commercial loans taken in the National Bank of Ukraine (NBU), Deputy Managing Director of the Deposit Guarantee Fund of Ukraine Svitlana Rekrut has said. “The auction was held on DebtХ (Delaware, the United States) on January 16, 2019. This is so-called “U.S. platform.” We sold the pool [of assets] for UAH 48.079 million. Only two bidders took part in the auction, and the winner is Concorde Capital,” she said in an interview with Interfax-Ukraine. Concorde Capital CEO Igor Mazepa confirmed to Interfax-Ukraine that the company won the auction. The final agreement has not yet been signed. Rekrut also said that the anchor assets in this pool were the assets of Eurogasbank, including the Geneva Hotel in Truskavets, and other real estate. Literally two weeks before the auction at DebtХ, the ex-shareholder of Eurogasbank, through bankruptcy and the purchase and sale agreement, withdrew the liens. “That is, the re-registration took place almost on the eve of the auction” Rekrut said. According to a source of Interfax-Ukraine, the beneficiaries of the Geneva hotel in Truskavets are people’s deputy Andriy Lopushansky (Petro Poroshenko Bloc parliamentary faction) and ex-shareholder of Eurogasbank Oleksiy Ivchenko. As reported on the website of the Deposit Guarantee Fund, the initial price of the pool of assets with the book value of UAH 6.5 billion was set at UAH 240.394 million. The assets were bought at the lowest price of the lot. All assets pledged by the National Bank have repeatedly been put up for individual trading on the ProZorro platform and were not sold even after reducing their value to 20% of the book value. Then, these unsold assets were pooled and transferred to the DebtX and First Financial Network (FFN, Oklahoma City, the United States) to sell them using the Dutch model as part of a joint pilot project of the NBU and the Deposit Guarantee Fund. In this case, the specified pool of assets was already put up for auction at DebtX and FFN a year and a half ago. Eurogasbank was founded in 2006. 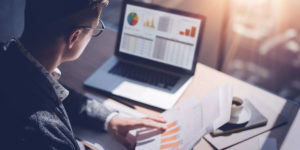 The largest shareholders in the second quarter 2014 were Oleksiy Ivchenko with 39.6296% of shares, Halyna Ivchenko with 31.9574%, and Khrystyna Ivchenko with 17.7778%. The NBU on November 17, 2014 approved a resolution on the abolition of the banking license of the bank and its liquidation. The assets of the National Bank of Ukraine (NBU) as of July 1, 2018, amounted to UAH 942.724 billion, which was 8.2% less than at the beginning of the year. 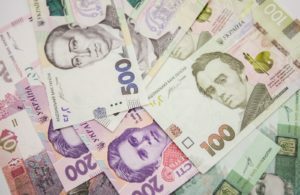 Such financial indicators were published by the central bank in the parliamentary edition Holos Ukrayiny (the Voice of Ukraine) on Friday, July 20. The amount of non-resident securities, which are part of the NBU’s assets, shrank most noticeably: by 10.1%, to UAH 372.725 billion, while holdings and special drawing rights (SDR) decreased by about 61%, to UAH 23.807 billion. At the same time, the amount of funds and deposits in foreign currency and banking metals almost doubled, to UAH 49.806 billion. In the structure of the NBU’s liabilities, the amount of obligations to transfer profits to the budget, fell by 85.2%, to UAH 6.614 billion, the amount of assets of government and other institutions fell by over 54.7%, to UAH 25.135 billion, while the liabilities of the National Bank before the International Monetary Fund shrank by 12.4%, to UAH 180.660 billion. 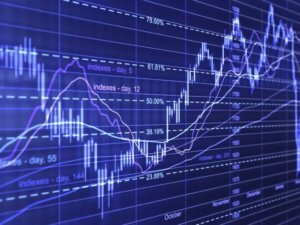 The assets of insurance companies placed in the instruments of the stock market in January-March 2018 amounted to UAH 11.326 billion, which is UAH 2.625 billion, or 18.8% less than in the same period in 2017, member of the National Commission for State Regulation of Financial Services Markets Oleksandr Zaletov has told Interfax-Ukraine. According to him, due to regulatory requirements and stagnation of the national stock market, the volume of shares and corporate bonds in the structure of insurance companies’ assets is steadily declining. In the first quarter of 2018, investments in shares decreased by 23.7% compared to the same period in 2017, or by UAH 1.746 billion, in corporate bonds by 13.7%, or by UAH 126.5 million. At the same time, Zaletov notes the growth of investing of insurers’ funds in government domestic loan bonds continues – by 15.5%, or by UAH 859.9 million. At the same time, income from investments in government domestic loan bonds for the period increased by 29%. “The stability of the hryvnia and higher interest rates contributed to the growth of insurers’ national currency investments both in deposits and current accounts. But this did not save from the decline in the yield of this category of assets by 6.8%. In addition, investment in the economy of the country in the areas defined by the government rose by 54.8%, or UAH 150.5 million,” the expert said.